Viva Las Vegas! Welcome to the first event of the 2016 REVEL Race Series, the inaugural running of the REVEL Mt. Charleston Marathon/Half Marathon. REVEL Mt. Charleston featured reasonable registration prices for the race…$74.95 half/ $94.95 full marathon for early sign-ups with the prices increasing incrementally as race day approached. On the upside, no pesky “registration fees” like so many other races charge, so what you see is what it costs. And you can save $5 by signing up for their Facebook page and another Lincoln if you sign up for a team. Packet pick-up was a breeze as it was held the day before the race at the Mirabelli Community Center (open until 8pm). I was in and out in under ten minutes. There were some vendors on hand showing off their wares and other races, but I was more interested in getting to my hotel (the four hour drive from LA left me ready to relax). Like the rest of the REVEL races, Mt. Charleston is a point-to-point race, so runners park near the finish line and are bused to the start. Parking was free in one of the local shopping centers (with an overflow lot nearby). The lot was a little crowded in the wee hours of the morning, but not too bad (nowhere near as bad as say a post-Thanksgiving “Black Friday” early morning shopping lots). After bidding your car adieu, runners made their way onto a bus for the 13.1 or 26.2 mile trek to the start line (half marathoners in one set of buses and full in another set). I was happily surprised to see that our buses were nice coach rides as opposed to school buses. The buses took us up Mt. Charleston to our respective starting areas (both kind of in the middle of scenic nowhere). But the REVEL gang had set up a nice fenced-in pre-race area complete with a plethora of porta potties and portable lights. I mention that the area for the half was fenced off because it was actually a nature preserve and they didn’t want us wandering into the desert brush. I will say the view was pretty sweet, especially looking up higher into the snow-covered mountains where the full marathoners started. I was told that it did snow a bit at the start of the full marathon (pretty cool). I also liked that the buses stayed around after they dropped off their runners so we could stay inside and keep warm until closer to the start time. REVEL races have prided themselves on some sweet swag and Mt. Charleston certainly didn’t disappoint. The gender specific running tech shirt was a cool green and black gradient pattern featuring the race logo on the front. And one other cool option is that runners can choose between short sleeve or long sleeve (must choose when registering). Each year REVEL seems to keep outdoing the prior year’s shirt design (a trend that I hope continues). This year, REVEL has included an extra bit of bag swag as runners received a REVEL skull cap. I loved getting one, although I opted to wear my standard cap on race day. And as for bling, the Mt. Charleston medal is a hefty brushed-steel colored circular medal utilizing negative space and featuring the REVEL logo. Half marathoners’ medals feature a blue logo and blue ribbon while the full marathoners have orange logos/ribbons. And REVEL offers a challenge medal again in 2016. Run 3 of the 4 REVEL races (Mt. Charleston, Rockies, Big Cottonwood, Canyon City) and you get some bonus bling. Post race, runners get free race photos (got mine posted within two days) and down the road, a personalized recap video. The Mt. Charleston race featured a point-to-point course, starting in Kyle Canyon and finishing at Centennial Hills Park in Las Vegas. Full marathoners start at the top of the canyon while half marathoners start 8 miles up in the canyon. Both races finish at the same place. NOTE: I ran the half marathon, so I can only comment on the half marathon course. One interesting aspect of the half marathon course was racers had to walk over a half mile from the pre-race area to the actual start line. I heard a complaint or two, but I just used the walk as my warm-up. REVEL races all feature downhill courses and Mt. Charleston was no exception. Starting at 4,600 above sea level, the half marathon drops over 2,000 feet during its 13.1 mile route. Oddly though, the downhill slope is deceptive. I remember when we were driving to the start line in the bus it felt like the road was basically flat. I was wondering where the slope was. Trust me, it’s there and it’s sweet. The first 8 miles of the half marathon course decline at a constant 4% slope. It’s not so steep that you look like you’re running downhill, but you definitely notice it. That extra pep in the step certainly is refreshing. During the run you get a nice view of the sun rising over Gass Peak as you head down the road. My one critique of the Kyle Canyon stretch is we are still sharing part of the road with traffic. While the traffic is kept on their side courtesy of a large supply of orange cones, the runners had about 40% of the overall road width (so traffic can be led by police in both directions). It did make the course a little more cramped for runners (there was bit more weaving to avoid other runners) and racers should observe the “no more than two abreast” rule. I’m hoping that next year they give us a full lane and stagger the direction for the cars (like through a construction zone). The final 5.1 miles of the half marathon course took us along the streets of the Centennial Hills neighborhood before ending at the park. It’s a pretty sweet desert vista course and since spectators aren’t allow for the first 8 miles, it’s also rather peaceful. Mt. Charleston featured a decent array of services, with water and electrolyte drink about every two miles. I would recommend carrying a small water bottle on your belt or in your palm if you drink a lot, to supplement the services. Mile markers were present along the course, but no digital timers except for the finish, so bring your GPS watch. They did also have a few funny motivational signs along the way, a nice bonus for those runners needing a boost. REVEL races always have a good assortment of food at the finish (which is a little easier for smaller/medium sized races that don’t have 10,000 runners going to gobble everything in sight). I helped myself to some water, snacks and pieces of two-types of pie (one pizza and one apple). One other cool thing that REVEL does is each racer can get an individual printout card at the finish that has their results (other races take note). 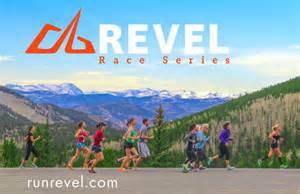 This is a great addition to the REVEL Race Series, brining them up to a quartet of races in four different states. I look forward to making this Las Vegas trek an annual addition to my race schedule. Posted on May 23, 2016, in General. Bookmark the permalink. Comments Off on REVIEW: REVEL MT. CHARLESTON HALF MARATHON.